Many mythologies and legends tell of a time when one or more “rogue” deities decide to uplift the masses, going against “the natural order” or the will of their peers. 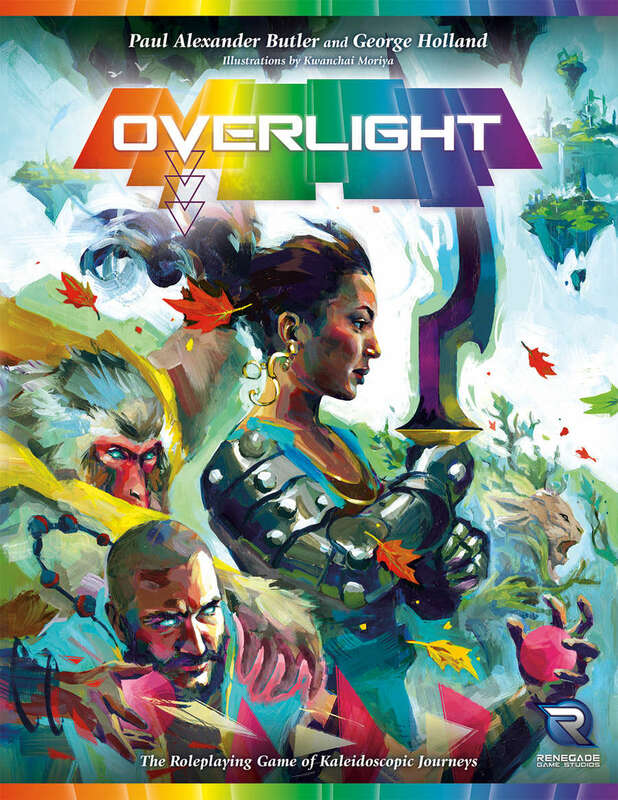 Overlight: A Fantasy Roleplaying Game of Kaleidoscopic Journeys takes that idea and blows it up into an expansive and deep setting. The experience is founded on a custom engine that serves the very specific elements of the setting, and the sheer poetry and cosmic beauty of it is intriguing. This is a non-typical Something Happened Week Pick; while apocalyptic in nature, the event in this case is far more mythical than your typical Armageddon. Since the beginning of time, a race of serpentine, celestial beings have been the caretakers and observers of the cosmos. At some point in Earth’s past, probably around 1,000 B.C.E., a small contingent of these celestials argued that humanity was ready to learn the secrets behind the making of the world. That the Homo sapiens species had achieved such a level of cultural growth and spiritual awareness that they deserved to be shown all the wonders of the universe, to be given the literal Keys of Creation. This small group of celestials was overruled by the will of the majority. Humankind was not yet ready. Defying this judgment, one individual fled to Earth with the Keys, and gifted them to humanity with one warning, “Do not use the Black Key”. Humanity did not listen. All of reality was turned inside out. The burning heart of the world was now the bright white, unending sky, and the unknowable depths of space now a vast star-filled sea beneath. Entire continents float in the space between, without a moon or sun to guide them. Welcome to Overlight, a roleplaying game of kaleidoscopic fantasy among the shards of a broken world. It’s a world in which seven great continents hang in the sky, stacked almost vertically far above an unending sparkling sea. And shining down upon it all is a limitless light, emanating not from a great sun or moon, but from the sky itself: the hallowed Overlight. The heroes of this world are called the Skyborn. These individuals are born to disparate folk and cultures the world over, and who on some deep genetic or spiritual level are driven to make the world a better place, knowing in their hearts that things are not as they should be. The Skyborn are able to consciously manipulate the Overlight, fracturing it into seven distinct colors and using it to power remarkable abilities called Chroma. While this game system is an RPG, this is just the beginning. This backbone can be used in future games and allow players to dive into this world through different entry points. While this book will cover the game mechanics to run this as an RPG, it can also be viewed as a source book for games to come.